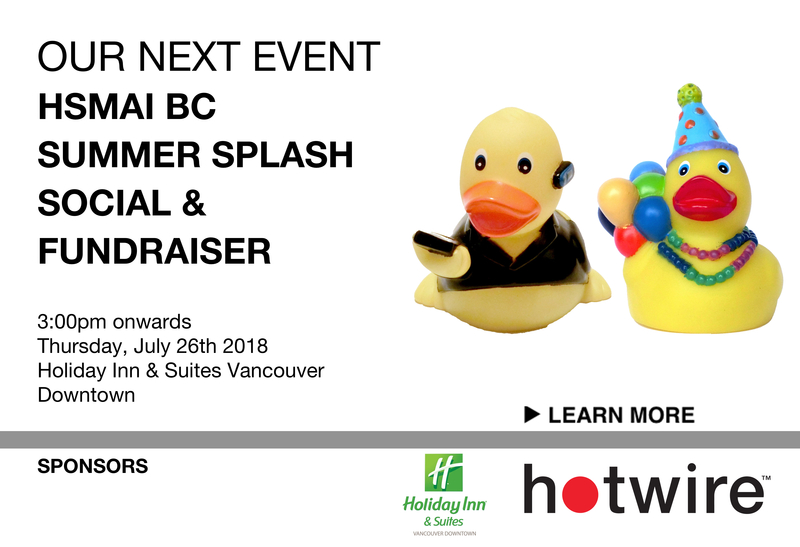 We're excited to announce our Summer Splash Social and Fundraiser which will be held on July 26th at the Holiday Inn & Suites Vancouver Downtown. This event is free for all HSMAI Members! We will be raising funds for the BC Hospitality Foundation with our annual raffle! Bring your money and help support this amazing charity. Prize details to follow!